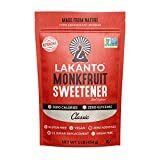 Erythritol, a main ingredient in this Lakanto Monkfruit blend, is known to have side effects for some people, particularly when consumed in excessive amounts. While Erythritol side effects are rare, they may include: diarrhea, stomach cramps/discomfort, headache, and bloating. In extremely rare cases, the use of Erythritol can cause an allergic reaction in the form of hives. The good news is that the use of Monk Fruit in this product significantly reduces the quantity of Erythritol necessary to replace sugar in your cooking and baking! 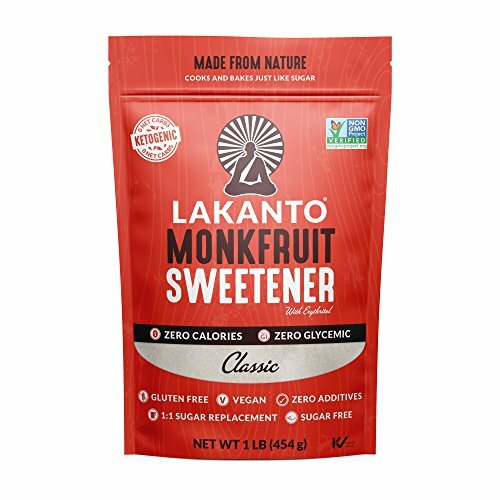 However, because of the presence of Erythritol, we recommend that Lakanto Monkfruit Sweetener be tried in small doses at first in order to screen out the potential of any negative reaction.